Facebook has “tentatively” concluded that spammers pretending to be a digital marketing firm are responsible for the biggest hack in the company’s history, according to a report in The Wall Street Journal. Anonymous sources told the WSJ that the company does not believe a nation-state was involved. The hacker stole personal information of 29 million Facebook users. 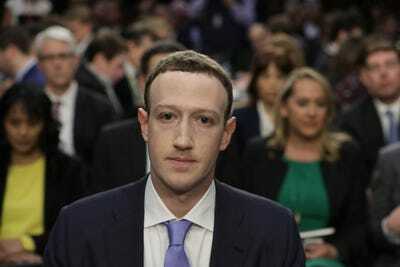 Facebook believes that spammers, and not a nation-state, are responsible for a devastating recent hack that stole the personal information of 29 million Facebook users, according to a report by The Wall Street Journal on Wednesday. The report, which cites anonymous sources, says that Facebook has “tentatively” concluded the hackers were spammers who were posing as a digital marketing company. The hack, which Facebook first disclosed in September, is the largest breach suffered by the social network. The hackers were able to exploit vulnerabilities in Facebook’s code to get their hands on “access tokens” – essentially digital keys that give them full access to compromised users’ accounts – and then scraped users’ data. Among the user data stolen by hackers were birthdates, phone numbers, search history and even recent locations the users had “checked in” at. Facebook and other social media services have increasingly been targeted by malicious actors seeking to use the platforms to spread misinformation and wreak other havoc. Facebook has said it believes Russian operatives were behind a campaign to spread misinformation ahead of the 2016 US Presidential elections. The fact that criminal spammers, presumably with commercial motives rather than a political agenda, are behind the recent hack is an unexpected development, though it’s unlikely to quell some of the mistrust the company has earned from a large segment of users.